SH320243 was successfully added to your cart! SH320243 could not be added as a favorite. Please make sure you are logged in. 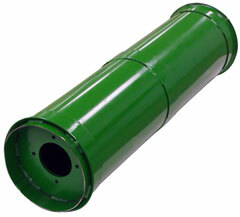 Feederhouse drum, used with 4-bolt cast bearing flanges. For John Deere 9560STS*, 9570STS, S550. 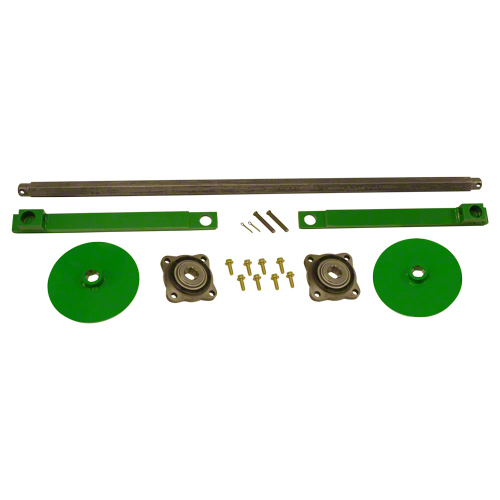 *Early model 9560STS without 4-bolt cast flange require SH320239 or SH320241 update kit. Heaving construction than original equipment. .120" drum skin. Wear bands included. Feederhouse drum update kit, used with SH320243 drum. Converts drum to 4-bolt cast bearing flanges. For John Deere 9560STS to s/n 710559. Feederhouse drum update kit, used with SH320242 or SH320243. Converts drum to 4-bolt cast bearing flanges. For John Deere 9560STS s/n 710560-720100; 9660STS s/n 711302-720300; 9760STS s/n 711198-720400; 9860STS s/n 710893-720500; 9660CTS s/n 710408& up.